The Law Commissions of Scotland and England want your views on how the law might adapt to enable the safe and effective deployment of automated vehicles on Britain’s roads. Although the focus is on passenger transport, the recently published preliminary consultation paper (see the summary here) welcomes input from the freight industry and any other interested parties. 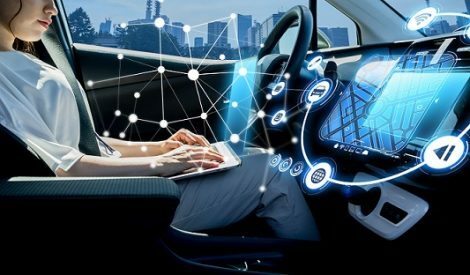 This is a chance to provide input and influence the legal and regulatory framework for a future in which certain vehicles on our roads will be partially or wholly autonomous. The division of responsibility (criminal and civil) for activities that are now the responsibility of a human driver. In time, some or all decision-making that is currently made by a human may be assumed by the vehicle, based upon the code written by its manufacturer and/or the party responsible for providing and updating the software through which it operates. It is important for all drivers, fleet operators and hauliers to understand the limits of autonomous features for their vehicles. The circumstances in which drivers may be permitted to take their eyes off the road and perform other tasks (or indeed if a driver is needed at all) are a clear focus of this review. If a vehicle is approved as fully autonomous, may all in the vehicle be allowed to check emails or watch a film? Or should one human always be ready to step in at short notice and take the wheel? How will drivers and operators ensure that their vehicles have the most up-to-date software installed? The Automated and Electric Vehicles Act 2018 provides that an insurer may exclude liability in such event. Some may argue that failure to install safety-critical software updates in an autonomous vehicle should become a criminal offence. Software update checking may therefore be added to the already demanding existing vehicle checking processes. Interference with vehicles (autonomous or otherwise) is already covered by a number of offences under criminal law. The Law Commissions ask whether any new offences are required. One example given is a clarification that tampering with sensors necessary for an autonomous vehicle should be explicitly included in the s.25 RTA offence of tampering with a vehicle’s brakes or other mechanism without lawful authority or cause. Other proposals are also mooted. The Law Commission have asked for responses to this preliminary consultation paper by 8 February 2019. It is worth noting that this is the first time that the Law Commissions have been asked to recommend changes to the law in response to circumstances (i.e. driverless cars on our roads) that do not exist currently. This consultation is due to last three years and, if the hype is to be believed, the robots will have arrived by then. Will the law be ready? To discuss any of the above, please contact Martin Page or a member of our Road Transport team. In addition, we are delighted to have Neil Fulton of Transport Systems Catapult presenting at our bi-annual transport conference at Cranfield University on 29 November 2018, on this exciting and developing area. For further information and to book your space, click here.